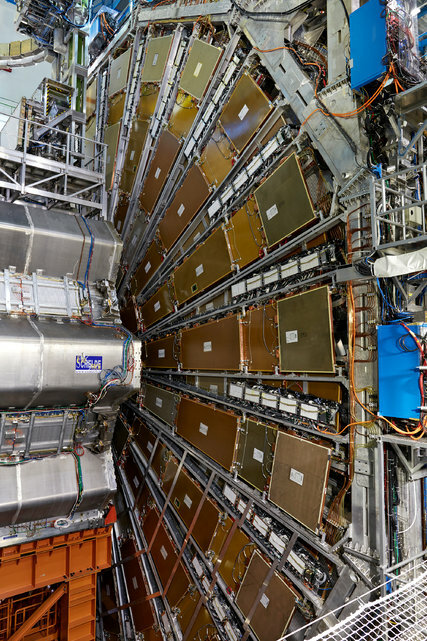 The Atlas detector is one of two general-purpose detectors at the Large Hadron Collider. It investigates a wide range of physics, from the search for the Higgs boson to extra dimensions and particles that could make up dark matter. CERN operates with an annual budget of nearly $1.2 billion from member states and works with 15,000 scientists from more than 110 nations in both Geneva and in laboratories around the world. The T-shirts sold in the CERN gift shop attest to the organization’s success and power. One is printed with the equation that sums up the current understanding of fundamental particles and forces, which CERN experiments have helped verify. The other celebrates a scientific discovery that more directly affects daily life around the world: it is the first page of the “Information Management” proposal by the CERN physicist Tim Berners-Lee in 1989 that created the World Wide Web. The daughter of a geologist from the Piedmont region of Italy who taught her to love nature and a mother from Sicily who was passionate about music and art, Dr. Gianotti dreamed of becoming a prima ballerina as a child. She aimed high: she wanted to dance at La Scala in Milan or with the Bolshoi in Moscow. 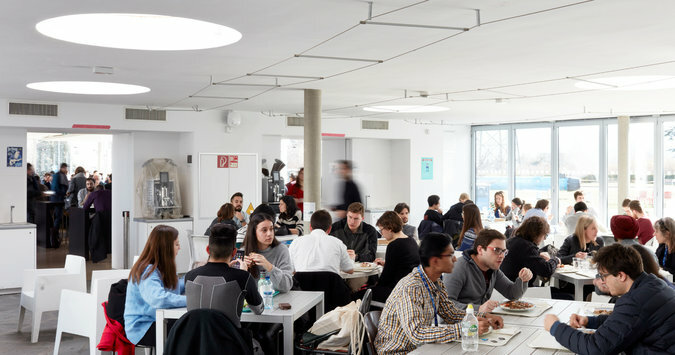 The cafeteria at CERN, the European Organization for Nuclear Research. But it was piano, not dance, that proved irresistible. She received a piano degree in Italy and considered becoming a classical pianist, but then moved on to earn a Ph.D. in physics at the University of Milan. She started her career at CERN with a graduate fellowship in 1994, and wrote her dissertation on experiments at CERN. At for CERN employees, only 12 percent of the 2,500 physicists and engineers are women. 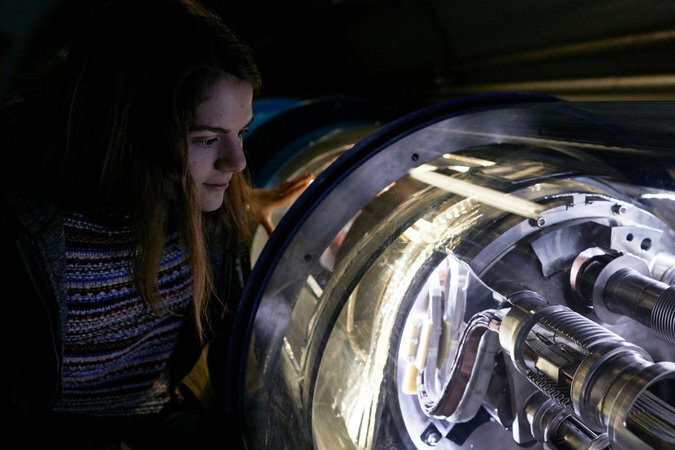 CERN has launched initiatives to promote all forms of diversity, including of women, with monitoring of career advancement and outreach programs. 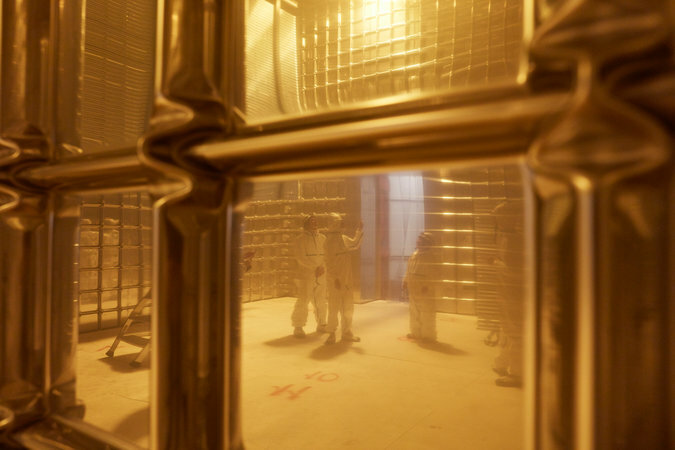 Inside the dual phase giant neutrino detector that CERN is currently constructing in partnership with the United States. At CERN, Dr. Gianotti is a passionate promoter of the “Open Science” movement, in particular the publication of scientific works in open access journals and the development of open access hardware and software. “It’s a way of spreading scientific knowledge around the world, particularly to less-privileged countries,” she said. The physicists who work with her praise her humanity. What sometimes goes unsaid is the fact that her work — and the quest for knowledge that goes with it — has always dominated her life. The Universe of Microcosm exhibition venue at CERN. Dr. Gianotti, who has never married, lives in an apartment with a view of Lake Geneva and Mont Blanc from her balcony window. She plays her favorite composers — Bach, Schubert, Scarlatti, Haydn, Brahms — on a Yamaha upright piano, sometimes on a mute setting with earphones so as not to disturb her neighbors. There is no unique answer. There are people who say, “Oh, what I observe brings me to something beyond what I see,” and there are people who say, “What I observe is what I believe, and I stop here.” It’s enough to say that physics cannot demonstrate the existence or not of God. There are many theories about why there are so many Italian women in physics compared to other countries. One is that physics opens the road to teaching in high school and I remember when I was studying science there weren’t many science teachers. Teaching at high school was considered a good job for women. In the kitchen you need to be rigorous and precise. Otherwise the soufflé doesn’t take shape. It’s all about thermodynamics. At the same time you have be creative. There is no fun just following a recipe mathematically. I can start with a basic carbonara and then add mushrooms and artichokes. I try to change and be an experimental cook from time to time as I do in physics. Institutions like CERN cannot directly solve geopolitical conflicts. However, they can break down barriers. They can help the younger generation grow in a respectful and tolerant environment. CERN can give a great example of what humanity can achieve when we set aside our differences and concentrate on the common good. We really need to break down cultural silos. Too often people consider science and the arts completely decoupled, compartmentalized. To me they are not different things. They are both the highest expressions of creativity, of curiosity, of the ingenuity of humanity. Previous articleNakesha Williams Died Homeless on a Manhattan Street. Should She Have Been Forced Into Treatment? Next articleKimba Journal: A Farming Town Divided: Do We Want a Nuclear Site that Brings Jobs?